RARE ABSOLUTELY STUNNING NEW ORIGINAL OIL ON CANVAS "In a Dress of Black and White"
Also voted ‘Published Artist of the Year’ by the Fine Art Trade Guild and had a painting accepted into the Singer & Friedlander Sunday Times Watercolour Competition. 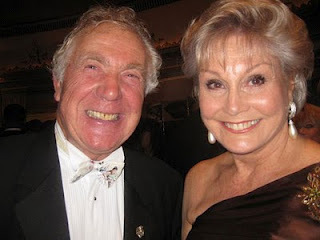 Gordon King with News reader Angela Rippon! 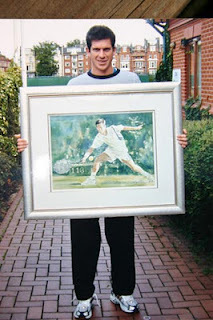 Tim Henman with a newly acquired Gordon King painting ! Gordon King with Miss England 2011! Letter from Buckingham Palace and Her Royal Highness Princess Anne commending Gordon Kings work!! Gordon with legendary Artist Terence Cuneo!!! "Screen Siren" by Gordon King - Gordon magnificent portrait of Marilyn Monroe NOT FOR SALE!!! "An Amazing Blue Chip Investment Opportunity to Acquire an Original Gordon King Painting" ..
Gordon King - Gordon King was born 6th June 1939, Gordon spent most of his early childhood on the Fife coast of Scotland before moving south of the border to Reading in Berkshire. As a child his talent came to the fore early on, winning several major art competitions from the age of seven. After leaving school he concentrated on figurative illustration, undergoing training at Carlton Studios in London whilst studying life drawing and painting at Reading University . In his early 20s he went freelance and became a Member of the Society of Industrial Artists (MSIAD), illustrating for major magazines and advertising agencies. Gradually he built up the commission side of his work by painting portraits and exhibiting his work until in the mid 70s he gave up illustration work altogether to enable him to concentrate full-time on his paintings which at that time were predominantly in oils. Success came quite rapidly, showing at the Royal Academy Summer Exhibitions in London and later at the Royal Institute of Painters in Water Colours, painting mostly figurative subjects. His paintings of girls in natural surroundings soon became his trade mark and the popularity of the watercolours in the early 80s together with the success of his prints, limited editions and silk-screens brought him the high profile that he has today. In 1995, his first book “A Romance with Art” was published, with a forward by HRH The Princess Royal, featuring a wide range of his oils and watercolours. A second edition followed later. Gordon lives and works in his studio in Buckinghamshire which provides the backdrop for many of his paintings. He exhibits worldwide and has been featured painting live on a number of television programmes including the BBC2 arts series “Close-Up”, Channel 5’s “Open House” and Sky Sports with the P.G.A. Gordon’s second book “Drawn To Life” was published in 1999. In addition, he received a prestigious award from the Fine Art Trade Guild who voted him “Published Artist of the Year”. He also had a painting accepted into the Singer & Friedlander Sunday Times Watercolour Competition which exhibited in London before touring the country. 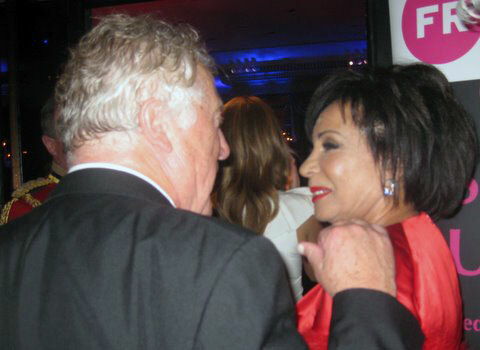 He has supported various charities over the years including projects for the Save the Children Fund, the NSPCC and the BBC’s “Children in Need” appeal (when he painted a portrait in front of a live audience). A commissioned painting of the Golf at Brocket Hall was auctioned for the Bob Wilson Willow Foundation. 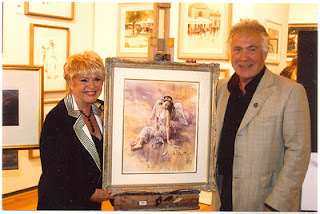 He has also painted many celebrity portraits including Sir Norman Wisdom, Gloria Hunniford, Ann Widdecombe, Tim Henman, Tony Jacklin, Katherine Jenkins and the legendary actress Patricia Neal on the Queen Mary 2. Recent projects include three limited edition prints of Darcey Bussell in aid of The Alzheimer’s Society, a collection of paintings of Angels for the Caron Keating Foundation and a painting of Status Quo which was auctioned at Bonhams in aid of The Prince’s Trust.